Before I signed-off for the weekend, I took part in a bit of a tweetstorm about the Samsung Galaxy Note 7 from Verizon, as it just-so-happened to arrive on my doorstep during the DL Show. The tweetstorm’s focus, in case you missed it, was about all of the unnecessary changes that Verizon had made to the phone that immediately pissed me off as I went about setting the phone up. I’m not talking about bloatware (though that is a part of it) as much as I’m talking about UI changes and feature removals for no good reason. Well, unless that reason is for Verizon to push an agenda or package of services I want absolutely no part of, then I get it. Now, I don’t mean to throw a fit just for the sake of throwing a fit on a Monday where we were killing time in hopes that we may see the launch of Android Nougat to the stable channel (which happened), it’s just that in 2016, I don’t see why what I had to deal with on Friday is still happening. Samsung, the biggest smartphone seller in the world is essentially still being told how to setup and tweak a phone by Verizon. How is that still a thing? How is Samsung not just selling the phone they made, setup the way they want it setup, everywhere across the globe? 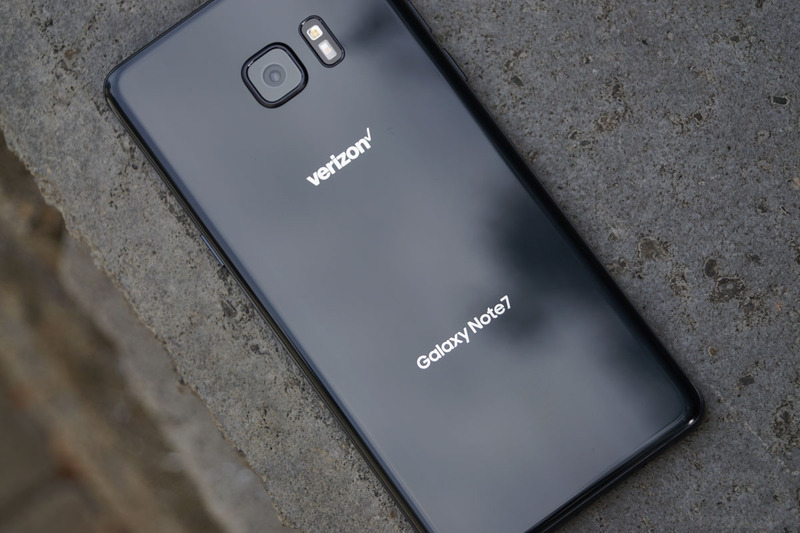 For example, the Verizon Galaxy Note 7 doesn’t include Samsung Cloud at all. What is Samsung Cloud? 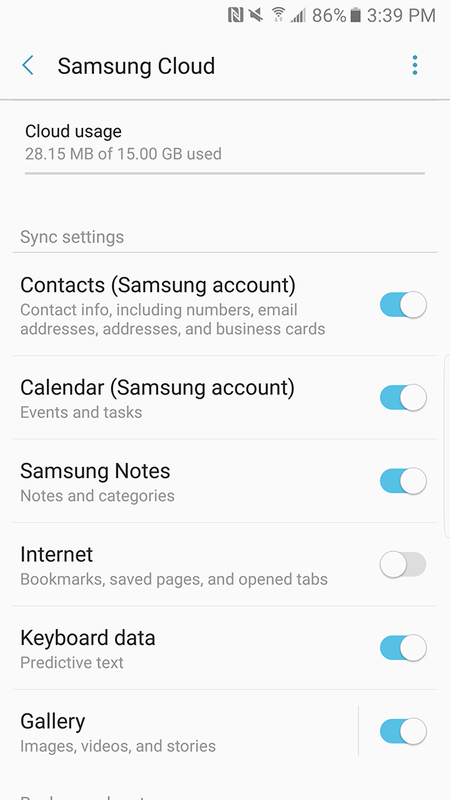 Oh, just Samsung’s new cloud backup service introduced with the Note 7 that offers a free 15GB of cloud space to store contacts, calendar info, Samsung Notes, Internet (bookmarks, saved pages, etc. ), keyboard data, and a gallery backup for photos, videos, and stories. 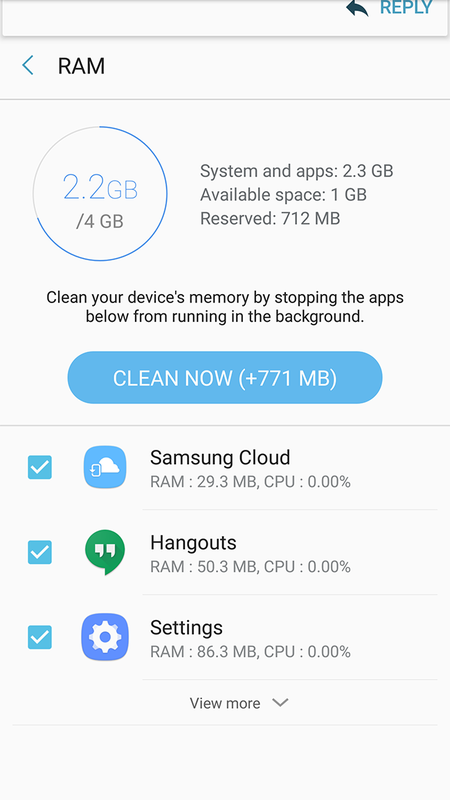 If you are a Samsung lifer, this Cloud service will certainly come in handy as you jump from one Samsung phone to the next or if you ever need to factory reset the one you currently have. Instead, Verizon has replaced this new service with their own Verizon Cloud that only offers 5GB of storage for free. It’s also a third party app and not baked into the system like Samsung Cloud is. 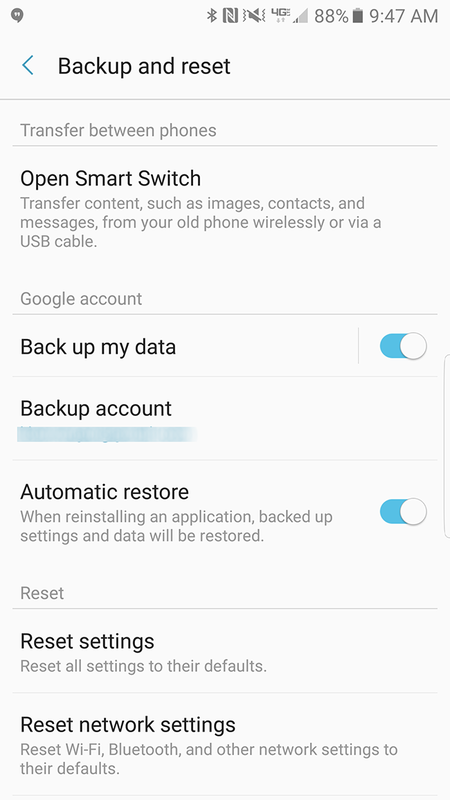 As you can see below, there is no section for Samsung Cloud in the backup and reset area of the phone on Verizon. Since Samsung Cloud isn’t a 3rd party app at this time, I just simply cannot use it because Verizon decided they didn’t want me to and Samsung accepted that idea. That’s not all, though. 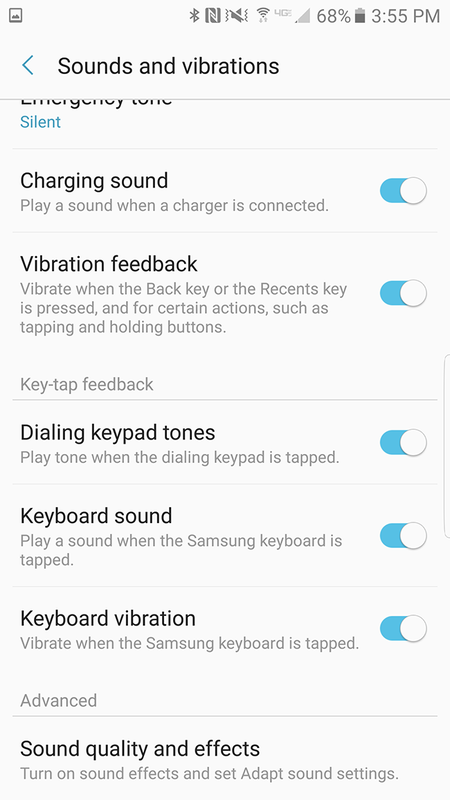 Verizon also killed off the brand new Settings menu on the Note 7 for the old style menu that is a mile long and mimics that of Google’s menu layout, in a way. I could see Verizon arguing that they want consistency and thought that their customers might be thrown off by the new layout, but that’s a pretty tired excuse. Give your customers some credit here. 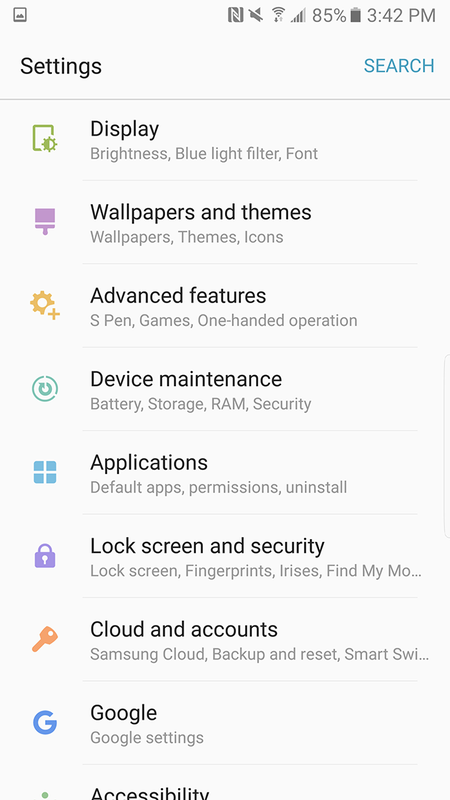 Plus, Samsung’s new settings menu is necessary because Samsung phones typically have 8,000 different settings and this new setup bundles it all into 14 categories, while Verizon’s old UI lists out over 30. 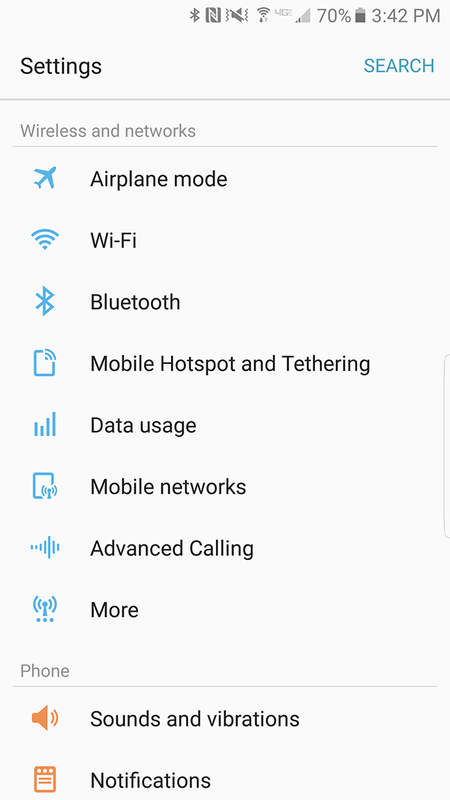 I should point out that Verizon seems to have killed off a new settings suggestions area at the bottom of a settings category, as well. This area is useful should you have entered a settings category to find something and come up empty. At the very least, it could help re-direct you to the proper place with a suggestion or hint. Verizon hasn’t replaced this with an option, they just decided to not include it. Why? And remember, when Samsung Pay launched last year, Verizon kept it from us all as long as they could, offering up a garbage excuse about them “evaluating” it longer than anyone else on the planet needed to. To see it not included out of the box here isn’t surprising in the sense that this is how Verizon works, it’s just surprising that Samsung still lacks power to go to bat for their own features. 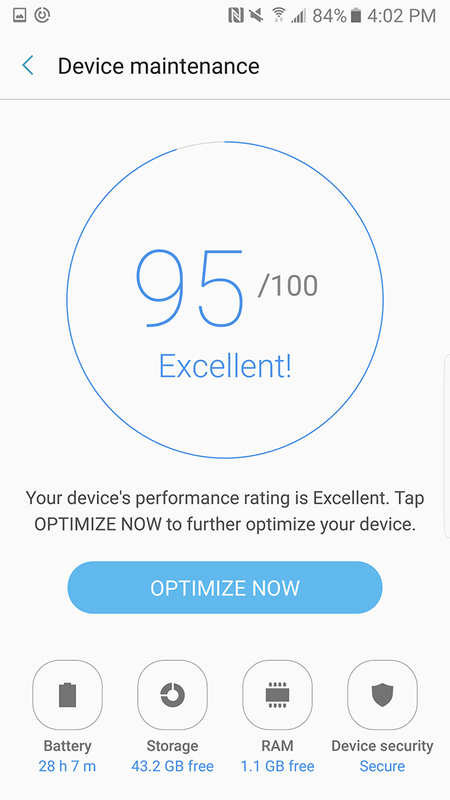 Finally, in terms of missing features, Verizon has also cleared out a new section on the Note 7 called “Device Maintenance.” This new feature may be a bit gimmicky in that it wants to optimize your phone for you, I just don’t see why this wouldn’t be useful to the customers of Verizon. 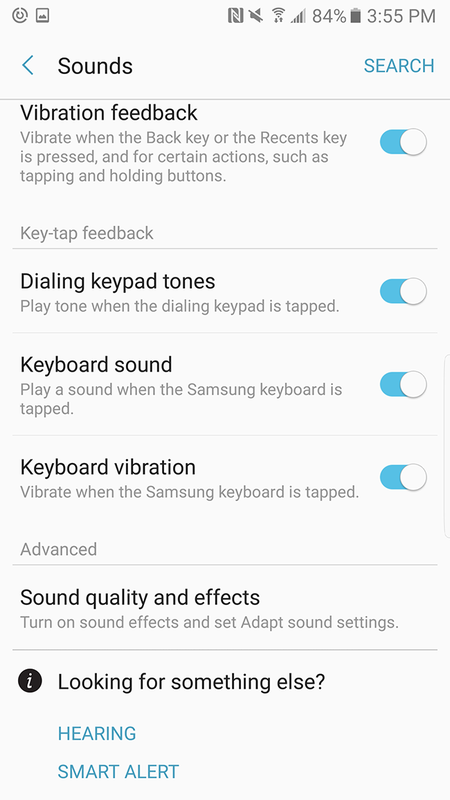 After all, I can only imagine they killed off the new settings menu as to not confuse users of this phone, so why not give them a somewhat gimmicky automated clean-up feature? On a related note, there is no way to view RAM usage on the Verizon Note 7. 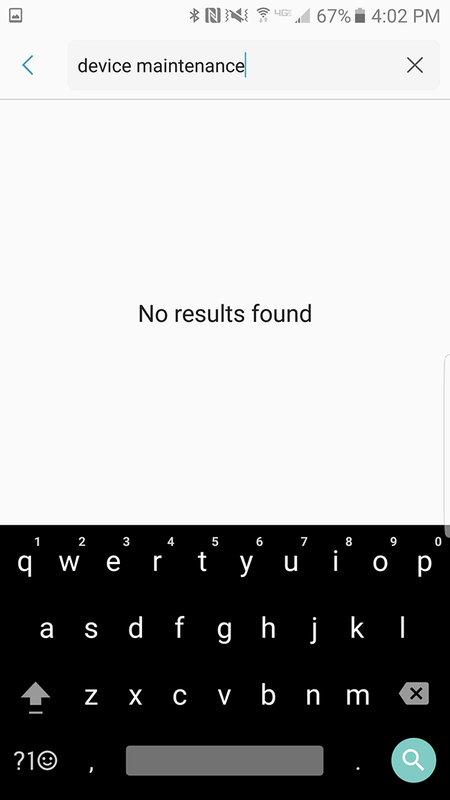 After searching through settings and checking in every corner of the phone, I’ve come up completely empty. So not only did Big Red kill off the full device maintenance suite, they won’t even let you check on RAM usage, which is a system-level feature on Android at this point. Of course, the bloatware is as excessive as you would imagine it to be, which means you get both Verizon services you won’t ever use and a bunch of placeholders for children’s games that are probably nothing more than a trick to get your kids to install and pay for items. The last item I’ll point out here is the fact that between the two Note 7 devices I have in-house at the moment, it’s pretty obvious to me that the Verizon version’s display is either tuned differently to a much warmer color profile or there are some quality issues here. 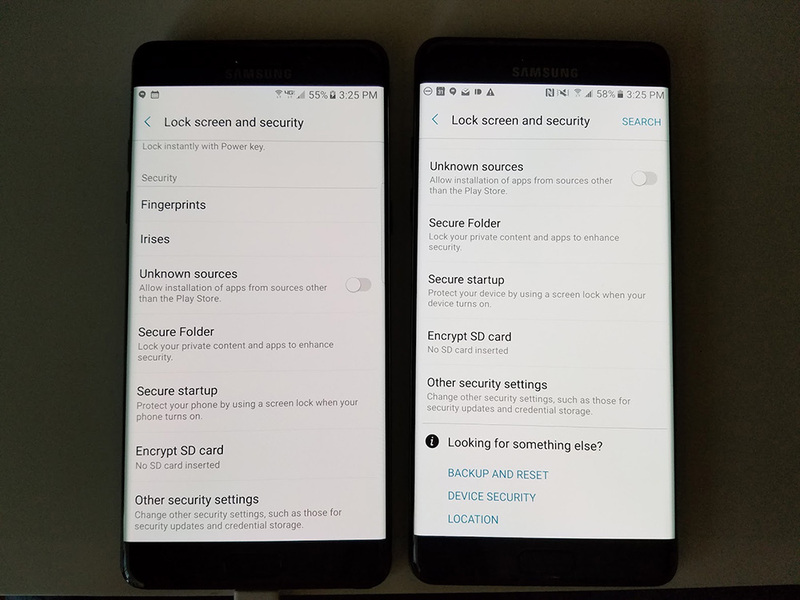 It’s tough to say which is the case since I only have two devices to compare, but there isn’t a thing I can do about it because Samsung doesn’t include a way to manually tweak the color profile. I just don’t get why this is still happening. Apple doesn’t let it happen. Even Google seems to be stopping Verizon from doing this on Nexus devices that it sells, outside of a My Verizon app here and there. But with Samsung phones, it certainly seems like Verizon is dictating features that are included, how the UI is presented, and which services need to be left out to push Verizon’s own sub-par options. Samsung, if you are listening, it’s time to flex a bit of muscle. I get that you probably have a good relationship with Verizon and listen to their advice about what should be offered to their customers, but it’s OK to tell them “No.” You can say, “We appreciate the thoughts, but this is our phone, our vision, and you are going to sell it how we made it.” Trust me, Verizon isn’t going to not carry the next Galaxy.